"Rock'n'Roll Station", 1976 in Paris aufgenommen. Live aufgeführt mit Daniel Murena am 01.02.2011 in Galerie Kullukcu. 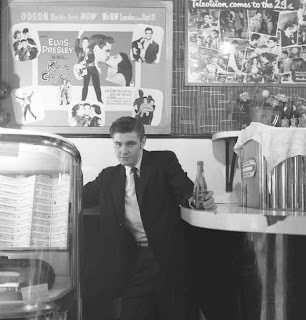 Vince Taylor at The 2i's Coffee Bar, 1958. 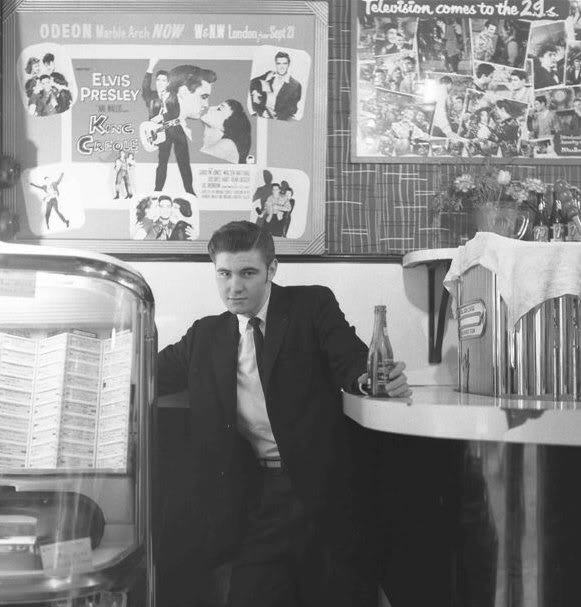 "The 2i's Coffee Bar was a coffee bar in the basement at 59 Old Compton Street, Soho, London, between 1956 and 1970. The 2i's was owned by an Australianwrestler and wrestling promoter. Its name derived from earlier owners, two Irani brothers. Generally the musicians were paid with coffee and Cokes. Publicadas por Pico Be a la/s 9:45 p.m.